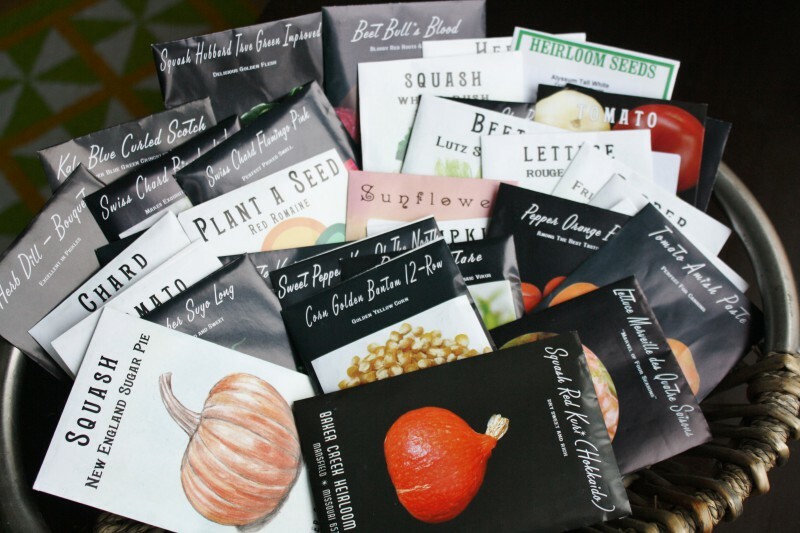 As promised, here you’ll find all the seeds we possess and intend on growing this year. It may seem like a lot, but we have over 800 sq.ft of actual garden beds and will be doing container plantings in addition to trying our hand at straw bail planting for the winter squashes. We have estimated that our final square footage should be about 850 sq.ft. Many of the herbs, medicinal plants and pollinator-attractors will be spread around all the beds and the sunflowers and corn will mostly be planted as a living fence between us and our neighbor. The trench will be 2 feet wide by about 30 feet long. For each sections, you have the websites of the companies we used. We plan on trying smaller quantities of all these to determine next year which ones to plant most of (we usually order seeds once every 2 years). Most varieties have been chosen for days to maturity (the shorter, the better), productivity/yield, hardiness and preservation qualities. Any comments, suggestions, experience with some of these varieties? Please let us know! Oh, how exciting! Just the names are so lovely, and the packets are works of art in themselves! No planting for us this year, as we’ll be travelling all spring. We’ll enjoy hearing about your progress. Happy planting! Thank you Sophie… They truly are. We started cold stratification on some comfrey seeds this week and it just made it more real. I’m sorry you won’t be growing this year, but travel YAY! That is very exciting too.